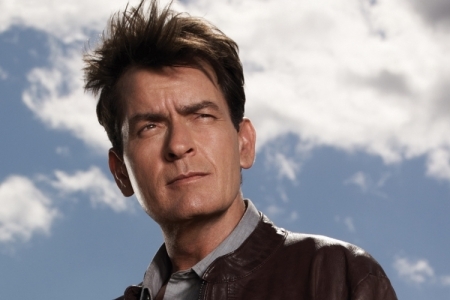 Actor Charlie Sheen took to Twitter today to pledge $1,000 to the waiter at PYT in Northern Liberties who was apparently stiffed on a tip on Monday by Eagle's RB LeSean McCoy. The burger joint in the Piazza is known for its unusual burger creations. Tommy Up, the restaurant's owner, posted a picture of the receipt that shows waiter Rob Knelly receiving a 20 cent tip on a more than $60 tab. Up later explained it was his idea to post the receipt and witnessed his staff giving excellent service to McCoy and company who were otherwise rude and insulting. Up doesn't ask anything of the star other than maybe an apology. No word on if Knelly and Up have contacted Sheen. Christina Regusters did not take the stand on Wednesday to testify in her own case before the defense rested their on Wednesday morning. She is charged with kidnapping a 5-year-old girl from her kindergarten class room and sexually assaulting her, before letting the girl go. The child was found the next morning hiding in a playground. The defense presented their closing arguments on Wednesday afternoon using the opportunity to try and point out areas of doubt in the prosecution's case. Lawyer W. Fred Harrison Jr. pointed out that in the 19 hours the girl spent at Reguster's neither the defendant's aunt nor her boyfriend heard the child or the assault. The girl's DNA was also not found at the scene. He also suggested that Regusters helped the girl, and someone else hurt her. The defense is hoping they've opened enough of a window of doubt and that the jury will think twice, as the state has that burden of proof. A Temple University student has been charged for attacking another student in an incident that supposedly involved anti-Semitic statements at an activities fair at the beginning of the school year. Abdel Aziz Jalil is facing charges of simple assault and recklessly endangering another person. The incident occurred on August 20th at Temple Fest which is an outdoor festival held to help undergraduate students learn about campus organizations and services. The victim was exchanging words with other students at the pro-Palestinian group Students for Justice in Palestine (SJP) table when he was assaulted by Jalil, who is just an acquaintance of the members. Although there were anti-Semitic statements and racial slurs included in the physical attack, there are no hate crime charges. 22-year-old Jalil was arraigned and posted 10% of $1,500 bail. His next date in court is October 1st. Temple's Office of Student Conduct will also look into the incident and decide on any disciplinary action.